Staff, beneficiaries and friends of the MRP Foundation were treated to an inspiring performance by the talented Zilungisele Primary School choir who joined voices with Durban musos and MRP Foundation ambassadors, Gangs of Ballet, at the Barnyard Theatre at the Gateway Theatre of Shopping on June 20. Ambrosio went on to highlight some of the MRP Foundation’s milestones from their decade of working with youth in South Africa, including establishing the only school physical education endorsed programme by the Department of Education. Centres of excellence in eight provinces allow 67,000 children from 236 schools to partake in physical activity on a daily basis. Through the holistic MRP Foundation Schools programme, five schools in rural KwaDukuza, including Zilungisele Primary School, are now outperforming schools in their district, province and nationally on their average performance. “The early years also showed us that there was a lost generation of youth who didn’t receive a good education. We realised we needed to do something about the youth who needed a ‘jump start’ in life so that they are able to unlock a job and care for their families. Over 20,000 youth have been able to access training programmes through our Jump Start skills development programme and many have gone onto to be employed within Mr Price Group stores or in the retail environment. In the last three years alone we have been able to unlock an annual salary value of over R153,000,000 for these young people and these families,” Ambrosio added. “My whole journey has been amazing and I have learnt so much,” says Mazibuko. “With the MRP Foundation it was easier to start an internship, earn an income and support my son. 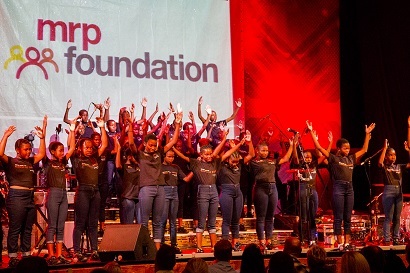 The experience has opened my mind and my heart to knowing that there are better things in life and that as the youth of South Africa we are getting help from organisations like the MRP Foundation." With a dream to impact millions of children in this country the MRP Foundation is excited to move into the next season of their journey and with the support of link-minded individuals, business and other NPO’s and NGO’s, anything is possible.